I always seem to be saying this as an introduction, but it's been a while! I must admit I don't really follow the social media mantra of constantly pumping out content; I'd rather wait until we have something worth saying or sharing. On that note, I'd like to introduce our latest brand....Haglofs of Sweden. To be honest, I've watched Haglofs ever since we've launched in 2011, but didn't feel they had the right profile for us. They'd appear on all the usual discount sites that you visit (yes, we know you do!) and their quality and ethos seemed to be dropping. Fast forward to 2015 and the company took a decision to go back to it's roots of high quality kit, sold by high quality retailers. At this point, they approached us to see if we were interested. Having heard the direction Haglofs wanted to take, we jumped at the chance. 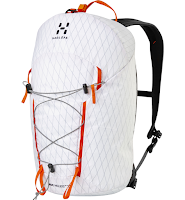 Secondly, Haglofs fill certain gaps in our collection. That's why we've started with just a few key items, but each one adds value to what we offer. The Haglofs L.I.M III jacket is a perfect example of a gap we had. This is a super lightweight "fast and light" style jacket to throw in the pack for summer mountain trips. Packs down small and has just enough features to keep you happy. I've been testing this out since April and must say I'm impressed. 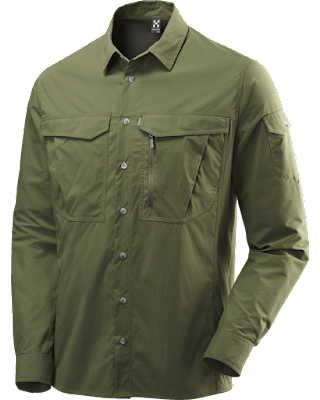 The Haglofs Salo III Trekking shirt is probably the pick of the bunch for me. Again, super lightweight, fast drying trekking/ travel shirt. Having spent a lot of time hiking in the US, I've switched to their preference for trekking shirts when out in the mountains. 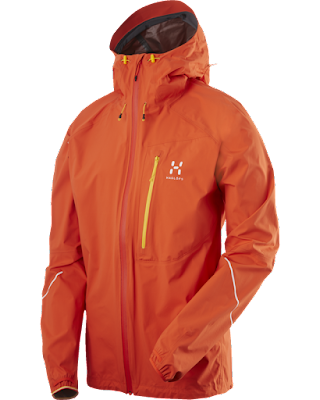 You get sun protection, super lightweight material, venting options and looks great off the mountain. 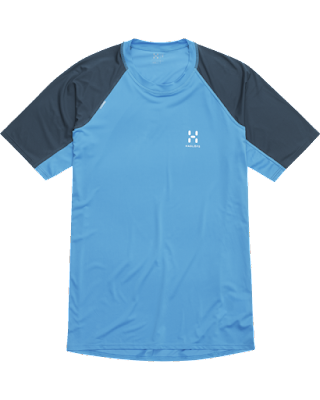 My favourite combo is to wear the Brynje Super Micro mesh T-shirt shirt under it for hot days in summer. You can open the shirt to vent, while the mesh does it's magic underneath. Believe me, it's much more pleasant than having a soggy base layer sticking to you! 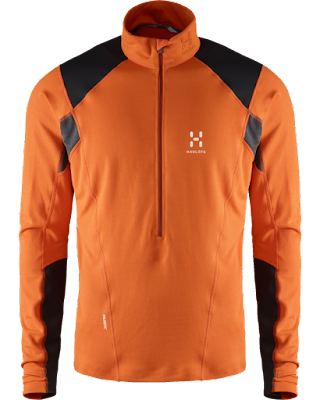 This Haglofs Pileus Half Zip Top, simply put, works brilliantly with our Brynje mesh base layers . Finding that "perfect" layer to go over the mesh can be a challenge. It's so rare to find a layer with a great length zip for venting and high end materials used so effectively around the body. The Polartec® PowerDry® and Polartec® Wind Pro® finish (with a Hardface technology ceramic face) really puts this head and shoulders above the competition. I've had the Haglofs Roc Helios on test since last summer. It's such an over used phrase but it's become my go-to summer rucksack. The 25L size is perfect for summer, and even fits all our Via Ferrata gear. The material is unique, lightweight and very tough, but I also love the back opening. Zip off the back and everything in the rucksack is laid bare in front of you! No more digging around trying to feel for your camera or compass. With a minimalist but super cool look, and enough features for most, I think this will be a firm favourite of anyone who buys one. One challenge we always had was not having a lightweight running shirt to offer. The Haglofs L.I.M T-shirt really solved that! Again, I've been testing it since May, and it's won me over. Weighing in at 75g, it's lightweight and stretchy fabric almost floats on you. It's also a closer, but not body hugging fit, so less material flapping about in the wind. The LAVA™ treatment – a bluesign® approved anti-odor treatment based on minerals borne from volcanic ash - also means that smell is not a problem on long trips. Lightweight, stretchy, wicking shorts? 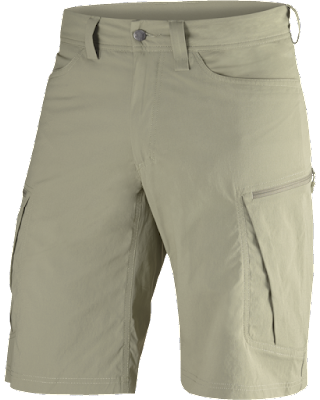 That's what you get with the Haglofs Mid Fjell shorts. Again, we didn't have any to offer customers, even though we know from experience that most people will be wearing shorts from May through September. These are a great pair for hillwalking, traveling or exploring. The DWR treatment means that they will even shrug off a light shower. For Winter....watch this space as we'll be adding more items from Haglofs to our collection!